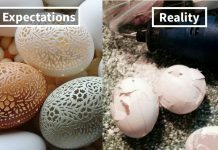 Everyone has certain expectations about their home and room. All of us want our room to look super beautiful. But the renovation charges are so high that not everyone can afford. 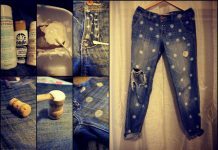 But DIY is such a boon to every such person. 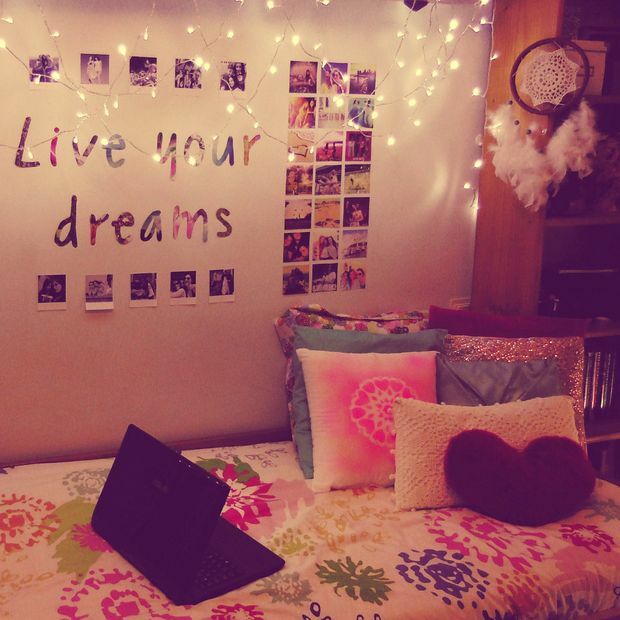 Who doesn’t want to beautiful room? 1. 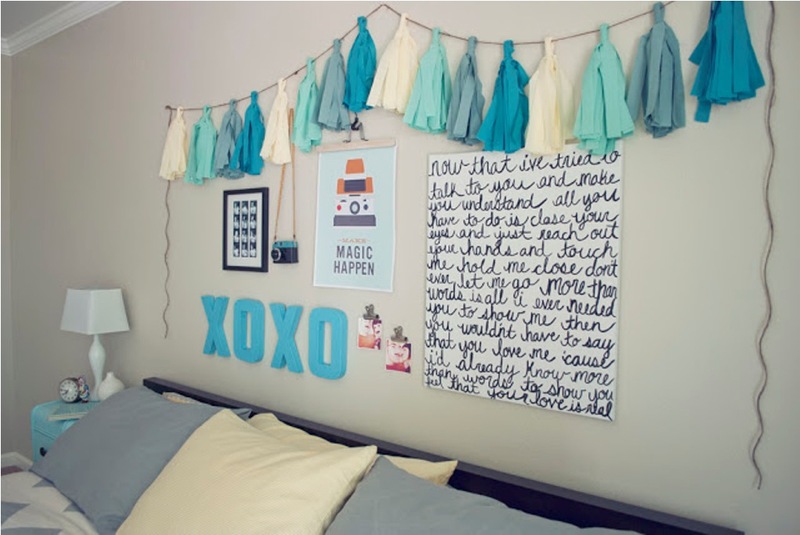 A string full of photos and a color theme for your room. 2. 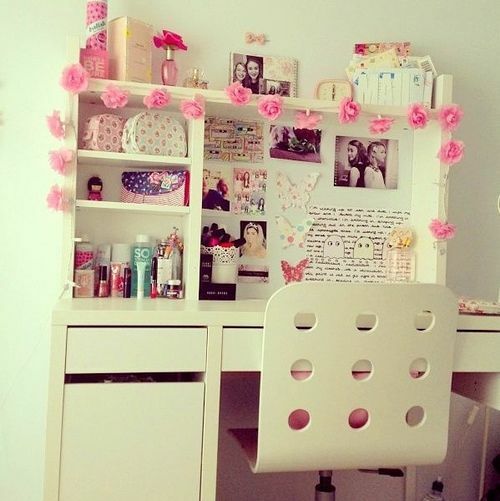 Your shelves and cupboard with plastic flower. 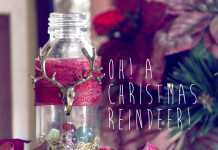 Some handwritten letters, photos or handmade gifts kept in it. 3. 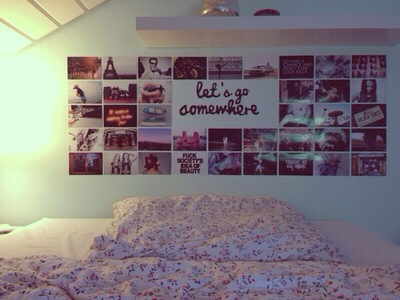 Decorate one side of your wall. 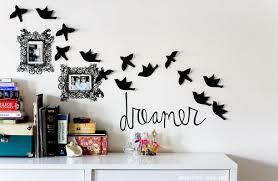 Choose a quote and make the letter with photographs. Put some light on the wall. 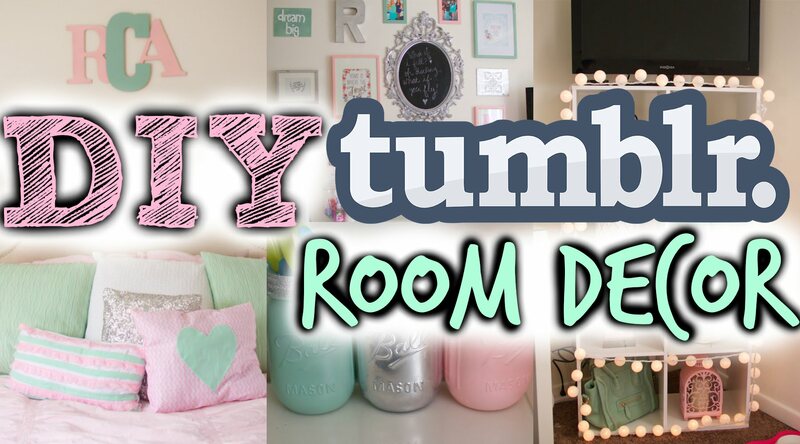 And your room is ready! 4. 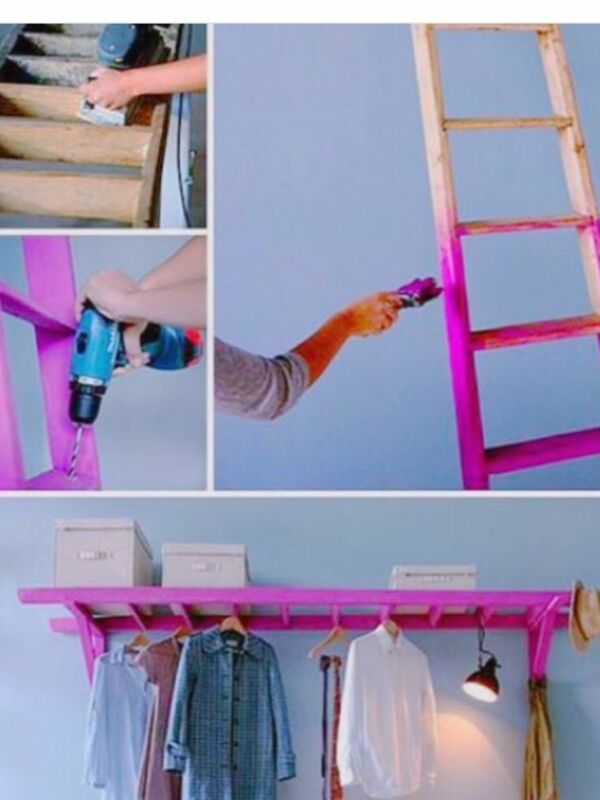 Get a wooden staircase, paint it with your favorite color and congratulations you got your new hanger! 5. 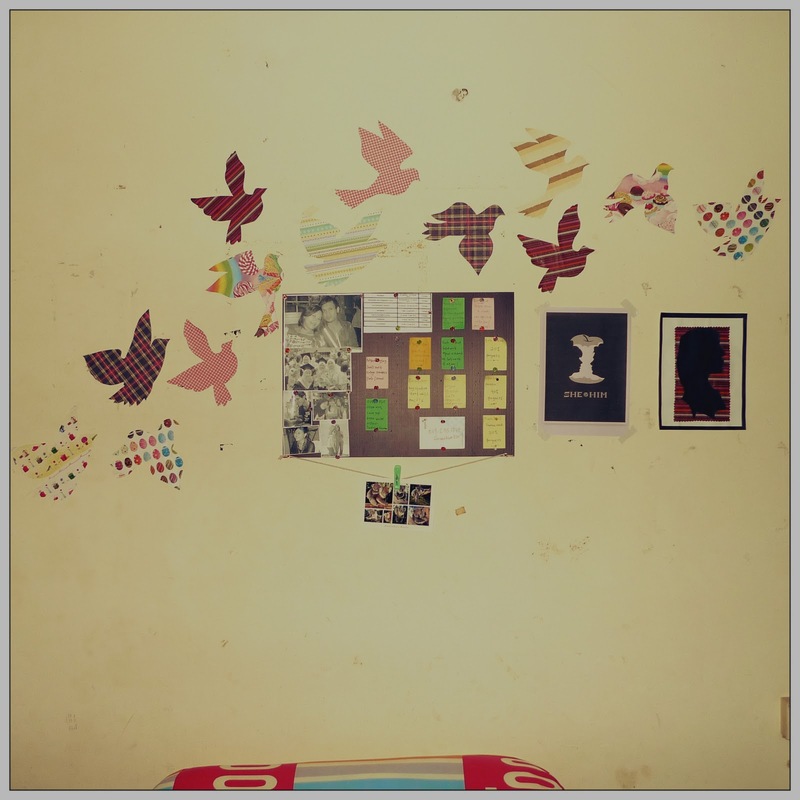 Make seagulls on printed paper, buy some poster and make a photo gallery of your own. Paste the stuff on your wall. 8. 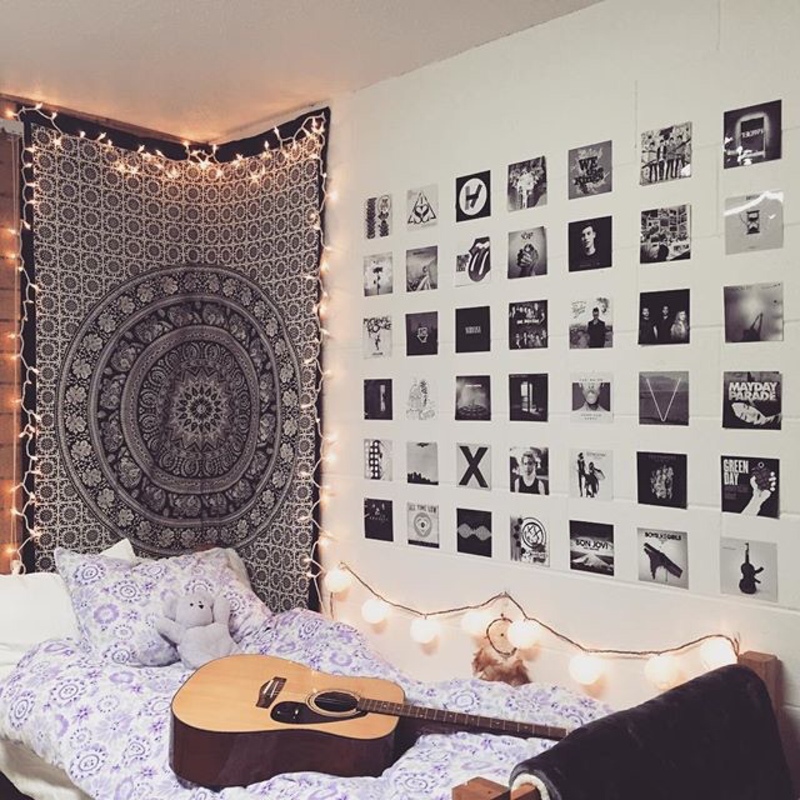 But a Mandala wall paper or bed sheet can also work. 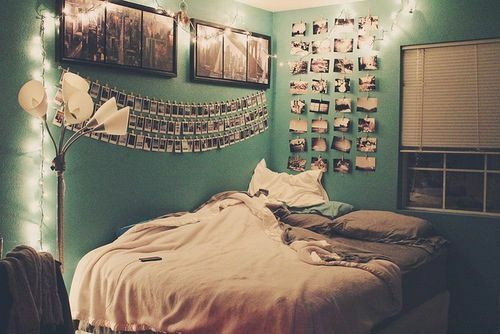 Put lights at the sides of bed sheet, stick it to one wall. And put some photographs and posters on adjacent wall. 9. 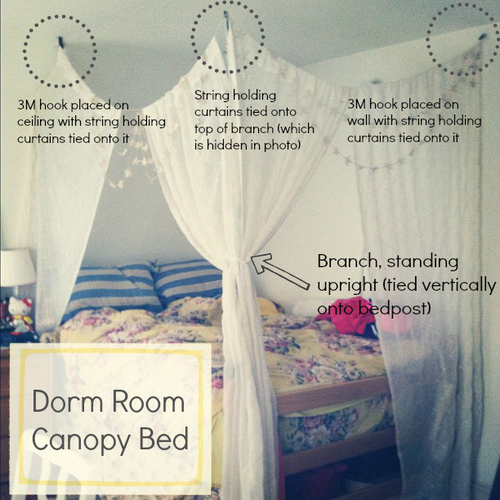 This is how you can convert your room into a beautiful dorm room! 10. Seagulls, photographs and quotes are the best way! 11. 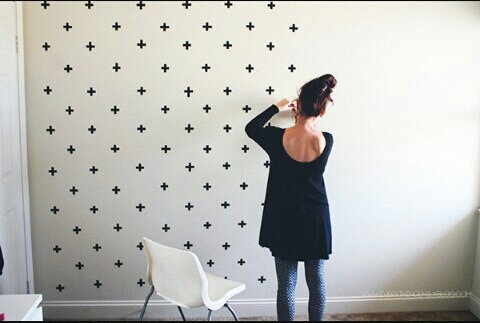 Just make stars and paste them on your wall or buy different graphics stancell to make your room beautiful. 12. This one is for all the book lovers to convert your room into a vintage library room. You will have two advantages. One, you will save space. Two, your room will look obviously beautiful! 13. Colorful theme and all your future trip ideas and favorite quotes! Previous articleA R Rahman Re-Arranged Lyrics of classic ‘Urvasi’ and it is AMAZING!